This is NOT a novella. Thrive is a full-length New Adult Romance and vital to Lily & Lo's storyline. It's recommended to be read after the Calloway Sisters spin-off books: Kiss the Sky and Hothouse Flower. 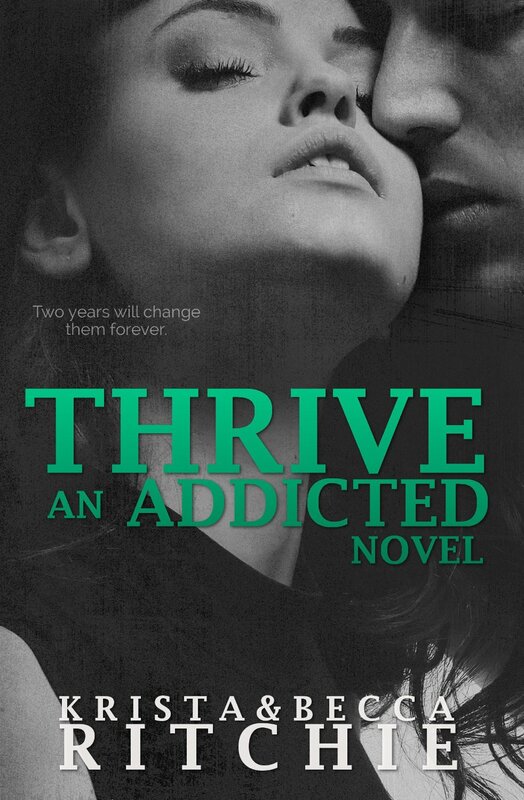 1) If you skipped reading the spin offs than you will NEED to read Thrive. 2) If you did read the spin offs than this is Lily & Lo’s journey through her sisters’ books. Lots of stuff happens to them that we never saw in KTS and HHF. Either way if you are a fan you will want to read this book. Logistics: it’s broken into 3 parts. The time frame spans 2 years 5 months. Under each chapter number it will indicate the year and month which makes following along easy. I posted in my Addicted For Now review the time frame and I’m adding here too. DYNAMICS:I’m often asked which book or series does Addicted compare to. I can never think of a comparable book series but I do have a comparison-> it reminds me of the TV show Friends (popular in the 90’s). Minus all the switching of partners it has the same fun feel of twenty year olds living life together. ‘Friends’ had a faithful fan base who tuned in each week and lived vicariously through their favorite characters. Same is true in the book world with this series. Each time a new Addicted book shows up on our kindles all of us fans gather together to buddy read it. And just like the fans of ‘Friends’ who still watch reruns…we, fans of Addicted, rally around a new person as they start their journey with this series. We are able relive the series through their updates and reviews. Lily & Lo are the geeks. Rose & Connor are the nerds. Daisy & Ryke are the adventurers. The combo of these 3 couples along with their struggles and successes pulls the readers to root for their favorite couple. Being able to relate in little ways to these characters, either be a geek or daredevil or brainiac, allows the readers to see themselves in the characters. We aren’t connected by our addictions. But by our childhood. Souls fused together from the very, very start.